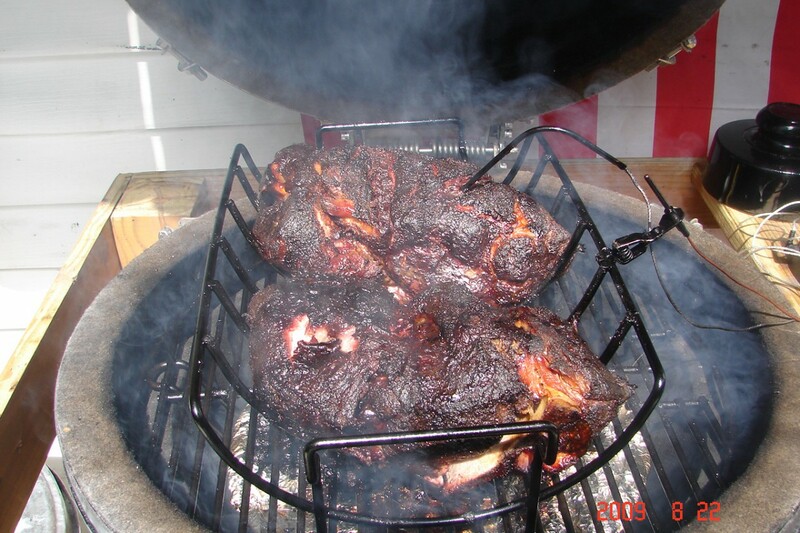 GRILL DOME KAMADO – FEED THE FIRE! 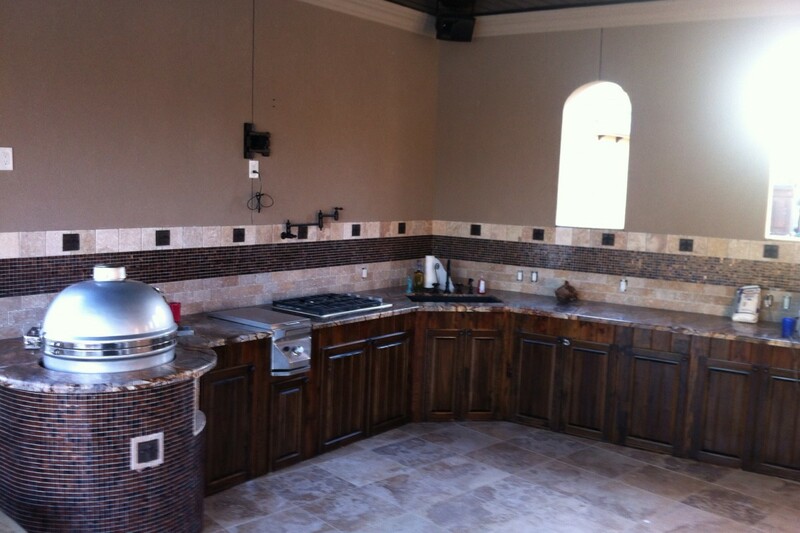 Without the ability to control heat, grills can be unpredictable and cooks can vary each time. A kamado overcomes these challenges with the thick ceramic walls that hold heat much better than its metal counterparts. Also, food is cooked from every direction as the shape of the grill is round. The ceramics can also do a great job of holding flavor in and developing it further. Proper seals between the lid and base of the kamado and the top damper are imperative to create a more dependable cooking environment. 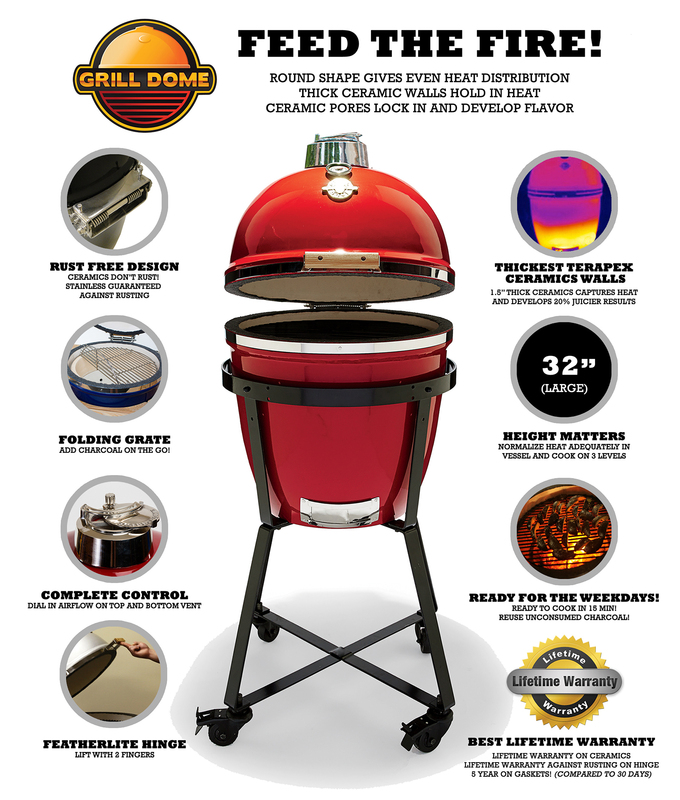 The Grill Dome is designed to provide the ultimate control. 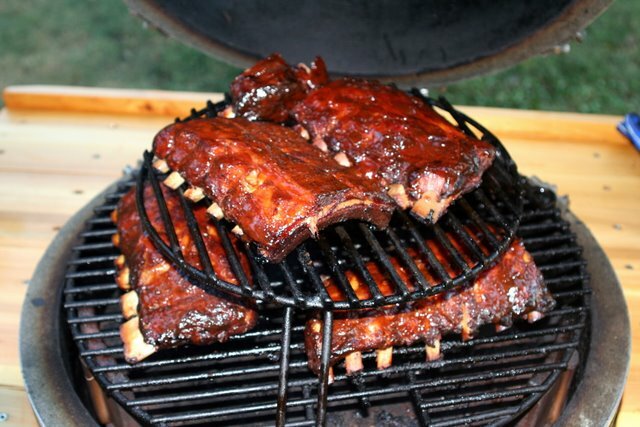 Two dampers on the bottom base and the top neck control the airflow in the cooker. The draft is created when the top damper (1) and the bottom damper (2) are both open. Air comes in from the bottom damper (2) to fuel fire and top damper (1) allows for an exhaust. 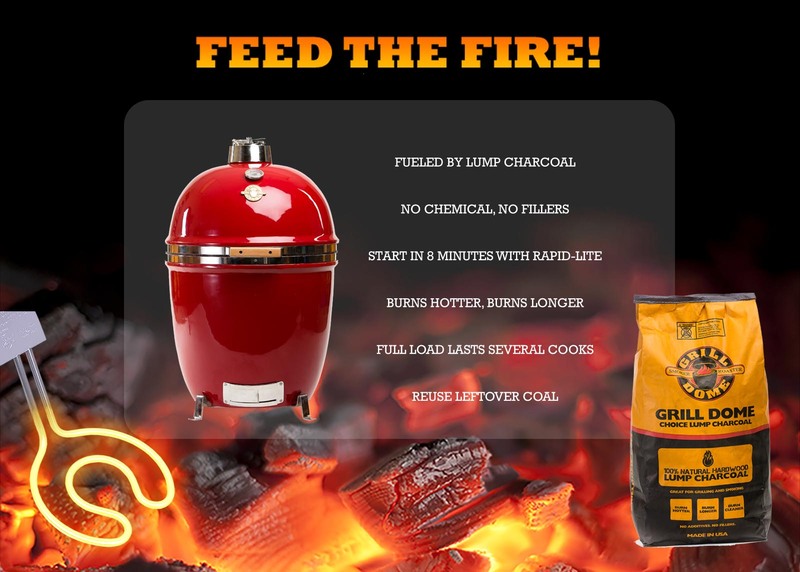 To reduce the heat, simply choke the fire by close the bottom damper (2), or to ignite more charcoal open up the bottom damper to desired level. When both vents are completely open a draft is created in the kamado and this air can be used to start the fire very quickly and also achieve high temperatures. Simply cut the dampers down to hold lower temperatures and this allows control for lower temperatures for baking or smoking. Round shape provides heat distribution from all directions, unlike rectangular grills that can create hot spots because of their odd shape! The kamado design has been used for over 3000 years! Ceramics don't rust! 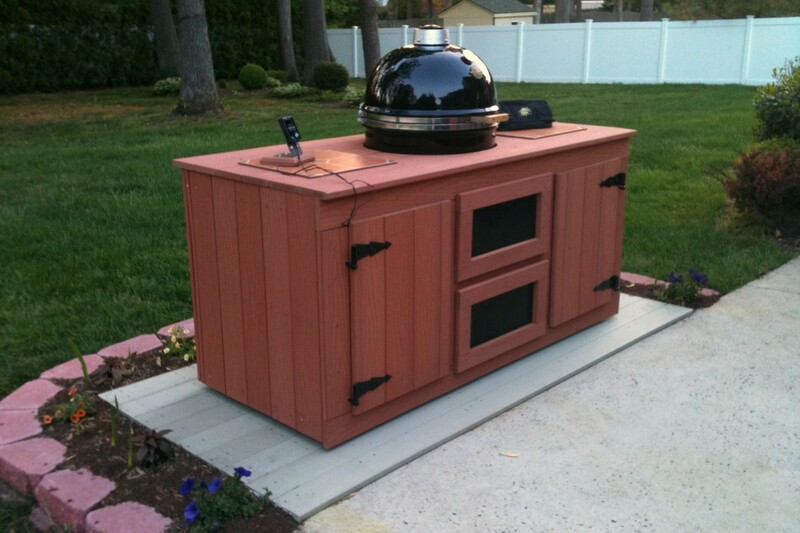 With all 304 SS hardware makes this kamado is designed to be rust free! Control the fire perfectly. 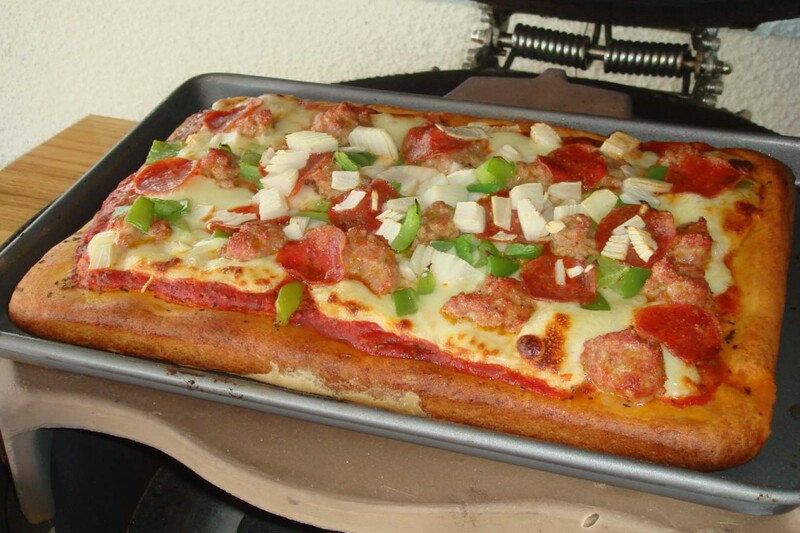 Now you can smoke, bake, bbq, sear, roast, and more! 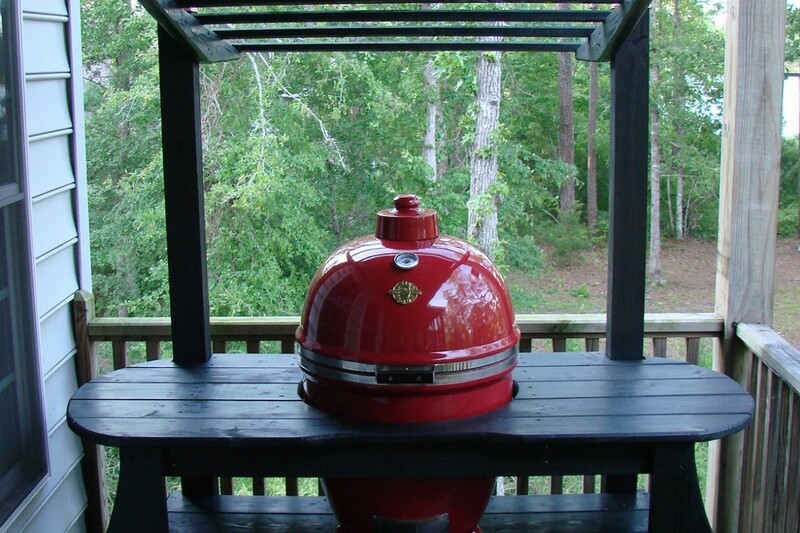 LEARN MORE ABOUT OUR GRILLS! They call it OCD...no this is not your run of the mill disorder - it’s affectionately called “obsessive ceramic disorder”. Once one has experienced the taste and juicy food that comes off the Grill Dome, they can’t stop compulsively trying more! 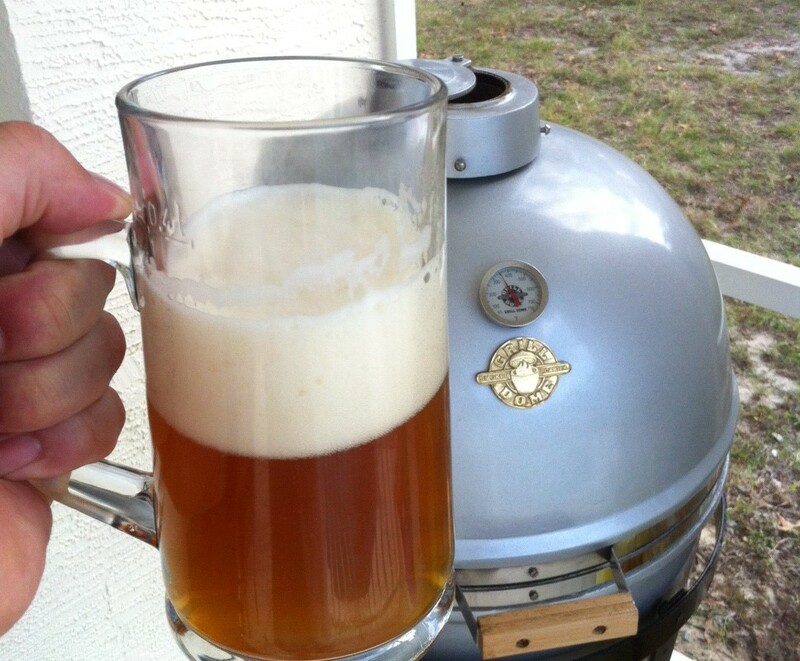 Whether it’s learning how to cook a tough cut like a brisket, learning how to cook the perfect steak, putting together their “perfect” bbq mix or pairing wood chips with their meats – the excitement a Grill Dome owner or “Domer” experiences in their backyard is simply contagious – Domers simply want to SPICE it up.